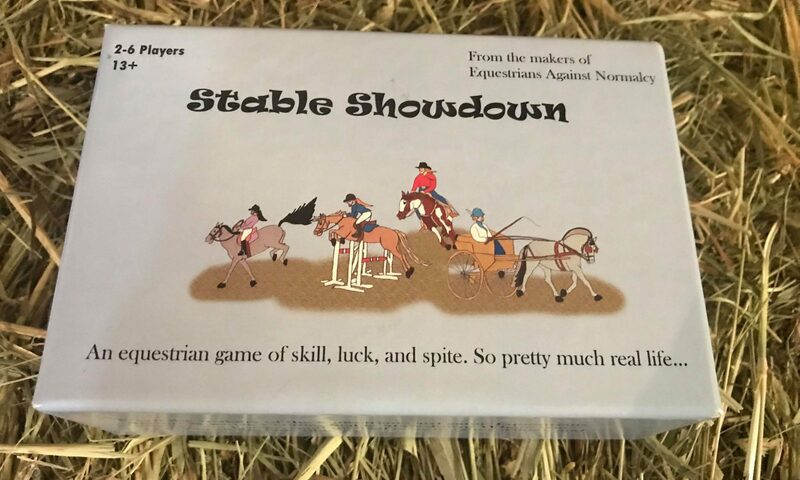 The ultimate horse game- Stable Showdown! Stable Showdown brings all the fun and insanity of the horse world to your house, office, show, and more. Designed to be played with 2 or more players and for ages 13 and up. 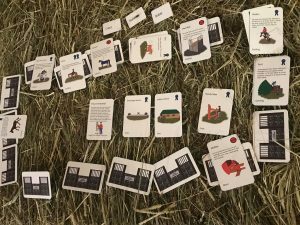 Great to play with your adult friends, with your family, or to have the kids amuse themselves with while the adults play Equestrians Against Normalcy. Currently available only at Game Crafter to purchase. And don’t forget to check out the official review done by Horse Nation.